Can't sleep? A memory pillow may help. Sleep Innovations is a company based in New Jersey that manufactures products made of high-density memory foam. Memory foam is manufactured by combining polyurethane, a commonly used synthetic resin, with chemicals that increase its thickness. This increased thickness gives added density to the memory foam, and Sleep Innovations specializes in ultra-high density memory foam mattresses, mattress toppers, and pillows. Memory foam has several unique traits. It's temperature-sensitive, so high heat makes the foam softer. This is why memory foam pillows and mattresses conform to the curves of the body, and then return to their original flatness as they cool during the day. Memory foam is also resistant to dust mites and parasites, which can help those with allergies. The high density foam prevents the entire mattress from moving when one person changes position, allowing spouses to sleep easier next to each other. Finally, memory foam mattresses are very durable and so last much longer than conventional mattresses. 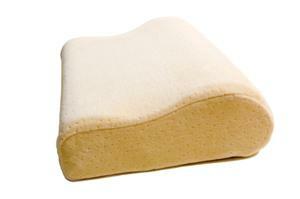 SI offers a wide variety of memory foam pillow options. They offer the classic contoured memory foam pillow, which has a deep indent where the head rests, and supportive foam under the neck. Some of these include covers with a smooth cotton or satin texture, or are treated with chemicals that make the pillows resistant to allergens, bacteria, and parasites. SI also offers 100 percent natural goose down pillows with a memory foam core. These pillows combine the soft, plush feel of goose down with the supportive properties of memory foam. For those allergic to goose down, SI also offers a polyester fiber pillow that mimics the feel of goose down without the presence of allergens. Memory foam pillows are usually priced between $25 and $60, but they do tend to last somewhat longer than cheaper pillows. SI offers a 12-inch thickness mattress which includes a base layer of 9 inches of conventional foam topped by 3 inches of memory foam. They also produce an eight-inch thick mattress that has a 5.5-inch thick foundation of conventional foam topped by 2.5 inches of memory foam. These mattresses cost between $800 and $1000, and they usually come with a ten-year warranty. All memory foam mattresses give off a chemical odor when they are new, and some brands of memory foam products keep this odor much longer. According to [www.sleeplikethedead.com SleepLiketheDead.com], a consumer review website for sleep products run by former insomniac Nick Robinson, the Novaform mattress from Sleep Innovations tends to have a strong odor when purchased. This odor could be attributed to higher amounts of flame retardant used to make Sleep Innovations products compliant with California laws regarding mattress and bedding flammability. Memory foam mattresses like the ones offered by SI are also be extremely heavy, and may be hot to sleep on due to the high density of the foam. For those who aren't ready to make the financial commitment to a memory foam mattress, a Sleep Innovations mattress topper may be a better choice. Toppers can cost as little as $100, and are simply a few inches of memory foam that sits on top of a conventional mattress. The added thickness does require deeper-pocket sheets, and generally lasts from two to five years. The toppers can last longer if they are moved every three months. The first time, the topper should be turned clockwise. At the next three month mark, flip the topper. Then turn the topper clockwise again after three months, and so on. This prevents excessive wear in any one spot on the mattress topper, extending its life by several years. SI has been affected by the recent economic downturn, and did file for Chapter 11 bankruptcy in October of 2008. However, their bankruptcy website states that they will continue to run their business and produce products while the bankruptcy proceeds. Financial difficulties aside, SI has a reputation for high-quality products that help their customers improve their sleep hygiene and sleep soundly and comfortably all night, every night. .